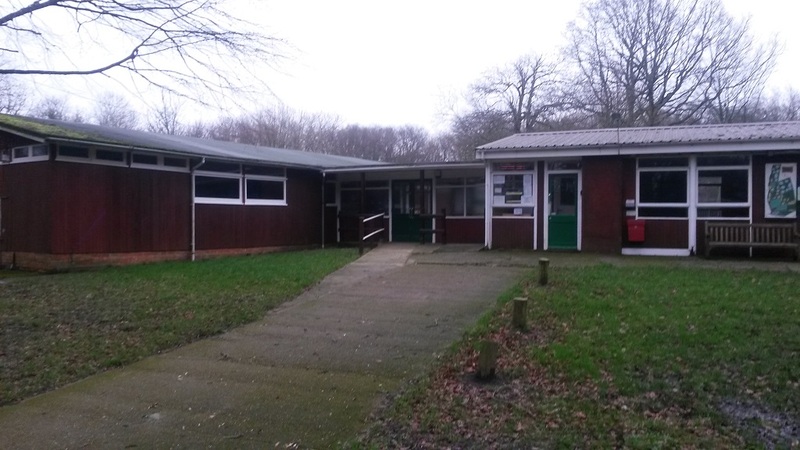 There are three inter-connected buildings, with their own (separate from the Camping area) Toilets and Showers. To the North is the Sleeping accommodation (‘The Bunkhouse’), in the centre is the Kitchen and Dining Room, and Toilets/Showers, and to the South is the Tidy Cabin. The Tidy Cabin is a large room (12.2 metres x 8.6 metres) equipped with tables (14) and chairs (approx 50), and two large Storage heaters. The ‘focal point’ (along one of the long walls) is a non-working fireplace. 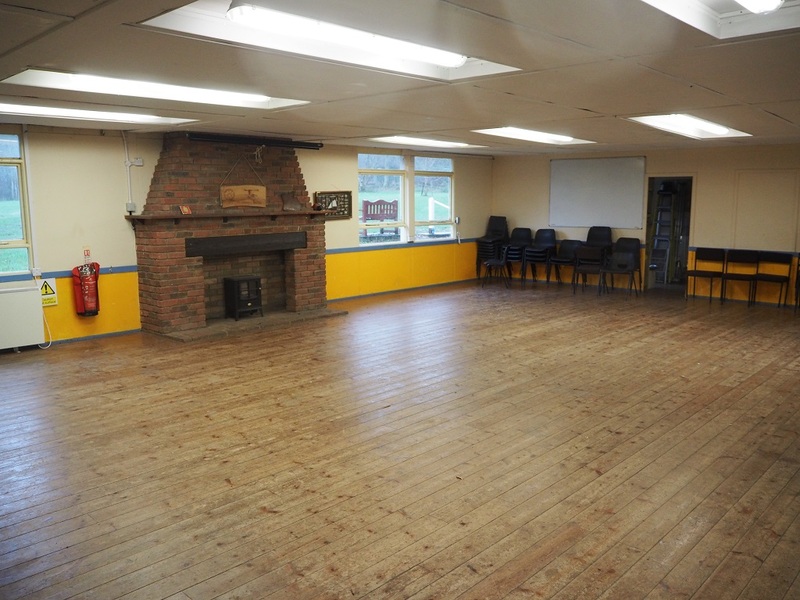 This is a fantastic space for wet-weather activities (and, yes, it does sometimes rain in Parkwood), meetings, training courses, games, etc. The Bunkhouse can accommodate 38 and comprises seven bedrooms of different sizes allowing a combination of allocations to cope with different numbers of males and females. There is mixture of bunk beds and single beds. 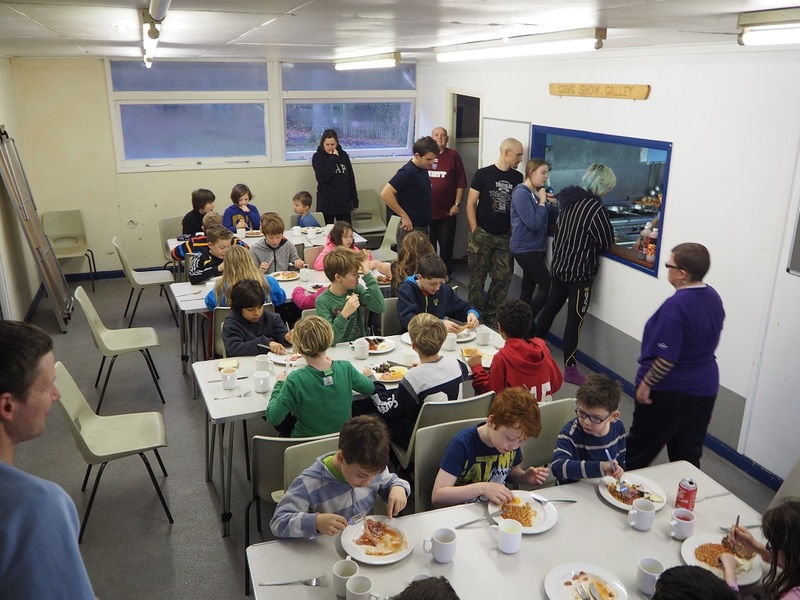 The bunkhouse was completely refurbished in 2015, with new bunks and beds, lighting, heating in every cabin. There is a small foyer with coat hooks and space for shoes. The Kitchen and Dining Room can cater for 100+, although there are only sufficient tables/chairs/space to cater for around 40 at a single sitting. 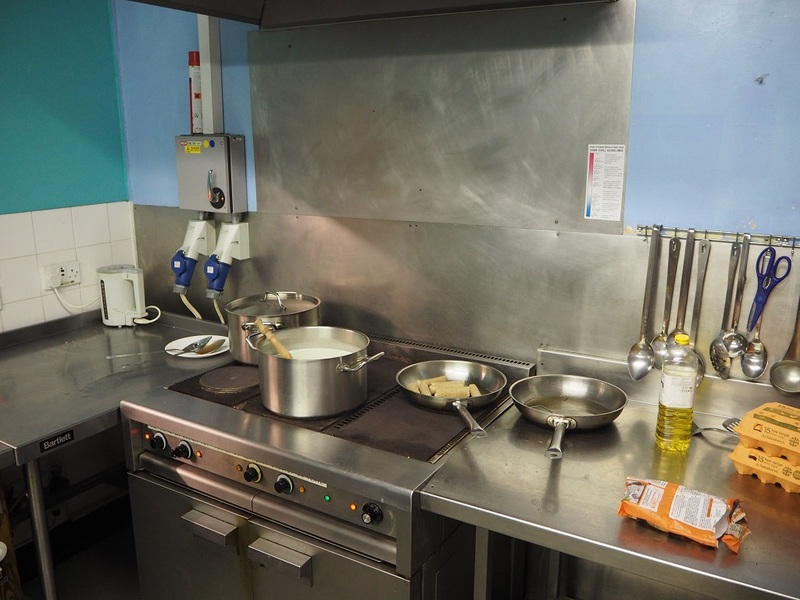 The Kitchen is fully equipped with a range of large and small pots, frying pans, jugs, baking trays, etc., and cooking utensils. In the Dining Room is a Water Heater for making hot drinks, a supply of Cutlery, Dinner plates, side plates, bowls, and Cups/Mugs. There is a small foyer / working space / storage space with tables and chairs outside the Dining Room which also serves as the access route between the Indoor toilets, the Tidy Cabin and the Bunkhouse. The Bunkhouse and Kitchen/Dining Room are always let together and can be hired separately from the Tidy Cabin. The Tidy Cabin can also be let separately. When all three facilities are booked together we usually refer to this as a single booking ‘The Complex’. Toilets are situated on either side of the Dining Room block; males on the south side, females on the north side. These are reserved for those using the accommodation; all others will use the ‘Campers Toilets’. There are two showers adjacent to the female toilets. The Main Entrance area is between the Tidy Cabin and the Dining Room Foyer, and has storage racks for boots, and pegs for clothing; useful to control the transition between outside and inside activities! And to control the ingress of dirt! Please follow this link for general information about Arrival at, and Departure from, Parkwood. There are also useful notes about Site Security. In addition there are detailed Guidance Notes for users of the Indoor Accommodation, and lots of photographs in the Gallery Section.